The Reconciliation Book Club is a new initiative inspired by The Federation’s Reconciliation Action Group and other participants of the 2018 Social Policy Forum. Their goal was to find new ways for Federation members to come together to talk about this important work and to create new opportunities for learning and dialogue related to reconciliation. 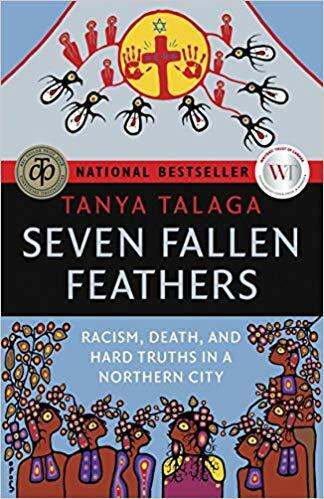 The Reconciliation Book Club will meet every other month to discuss a new book (via online webinar) chosen by our reconciliation action group members. Federation staff will facilitate and make available discussion questions, additional readings and resources, as well as author and publisher information. Was the book what you expected? What was your favourite quote? Why? How did the structure affect the book? What do you wish had been different? What other books did this remind you of? Who/what did you most relate to? Why? What was your initial reaction? Did the book hook you right away? Why? What part was the most memorable? What part was the most challenging? How reliable did you find the narrator to be? Did you feel like you got the ‘true’ story? The Reconciliation Book Club is a benefit of membership in The Federation of Community Social Services of BC. 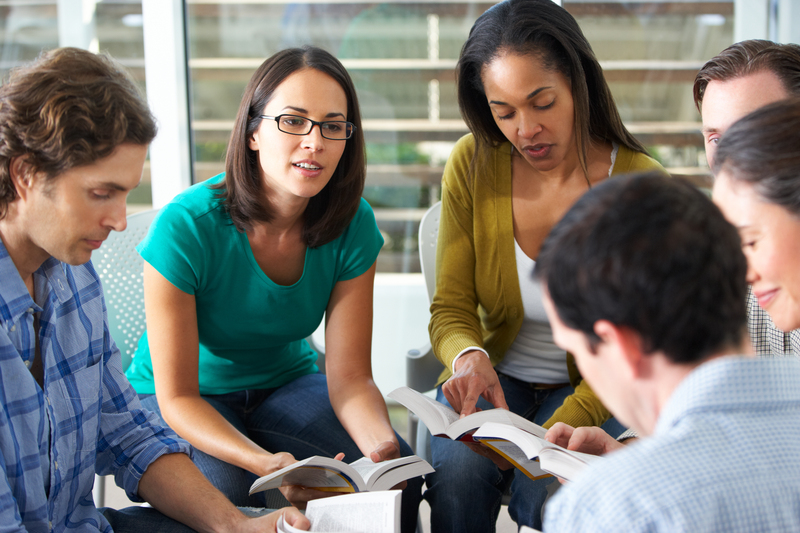 The Book Club is open to: all staff from Federation member organizations; all staff from organizations that have agreements with The Federation; participants in The Federation’s Leadership 2020 program. If you are unsure of your eligibility, please email bess@fcssbc.ca for information and assistance. Below are the books we’ll be reading and discussing over the coming months. Grab copies now and get a head start on reading. Then, join colleagues from across BC to ask questions, to share knowledge, to address bias and assumptions, and to inspire personal action in support of reconciliation. The Federation would like to thank the following publishers who have donated books and/or offered discounts in support of the Reconciliation Book Club. Do you want to start a book club of your own? Need even more great titles to read? 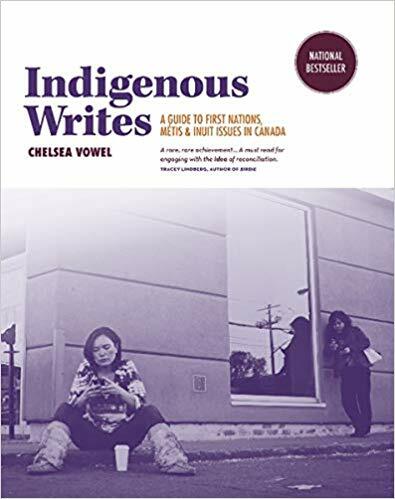 Here is a list of dozens of other excellent reads by Indigenous authors. The Inconvenient Indian distills the insights gleaned from Thomas King’s critical and personal meditation on what it means to be “Indian” in North America, weaving the curiously circular tale of the relationship between non-Natives and Natives in the centuries since the two first encountered each other. In the process, King refashions old stories about historical events and figures, takes a sideways look at film and pop culture, relates his own complex experiences with activism, and articulates a deep and revolutionary understanding of the cumulative effects of ever-shifting laws and treaties on Native peoples and lands. A shocking exposé of the dark history and legacy of segregated Indigenous health care in Canada. The memories recounted by these survivors (from gratuitous drug and surgical experiments to electroshock treatments intended to destroy the memory of sexual abuse) are truly harrowing, and will surely shatter any lingering illusions about the virtues or good intentions of our colonial past. Yet, this is more than just the painful history of a once-so-called vanishing people (a people who have resisted vanishing despite the best efforts of those in charge); it is a testament to survival, perseverance, and the power of memory to keep history alive and promote the idea of a more open and just future. Like thousands of Aboriginal children in Canada, and elsewhere in the colonized world, Xatsu’ll chief Bev Sellars spent part of her childhood as a student in a church-run residential school. These institutions endeavoured to civilize” Native children through Christian teachings; forced separation from family, language, and culture; and strict discipline. Perhaps the most symbolically potent strategy used to alienate residential school children was addressing them by assigned numbers only, not by the names with which they knew and understood themselves. In this frank and poignant memoir of her years at St. Joseph’s Mission, Sellars breaks her silence about the residential school’s lasting effects on her and her family, from substance abuse to suicide attempts, and eloquently articulates her own path to healing. Number One comes at a time of recognition—by governments and society at large—that only through knowing the truth about these past injustices can we begin to redress them. This is a book like no other. Bev Sellars combines her keen insights, her studies in history and law, and her experience as a chief of an ‘Indian reserve’ in British Columbia to produce a book that will open the eyes of Canadians to the reality of life under federal government administration. This book will be a significant contribution to the nationwide campaign of Indigenous people to emancipate themselves from the Indian Act and its administrators in Ottawa. Their aim as Sellars explains is meaningful participation in the decisions that affect their rights and interests. From declaring cultural ceremonies illegal, to prohibiting pool hall owners from granting Indigenous Peoples entrance, from forbidding the speaking of Indigenous languages, to the devastating policy that created residential schools, Bob Joseph reveals the hold this paternalistic act, with its roots in the 1800s, still has on the lives of Indigenous Peoples in Canada in the twenty-first century. This straightforward book is an invaluable resource. There is much for non-Indigenous people to learn and to do. But equally important, there is much to unlearn and to undo. The time is right for this book.’ ‘Increasing Canadians’ knowledge about the terrible foundation this country has been built on is a critical part of reconciliation. Bob Joseph has highlighted some of the unbelievable provisions of the Indian Act and how they have impacted First Nations in Canada and gives a brief overview of what we may replace it with going forward. His book provides helpful context to the dialogue that needs to take place in Canada. In 2005, award-winning writer Richard Wagamese moved with his partner to a cabin outside Kamloops, BC. In the crisp mountain air, Wagamese felt a peace he’d seldom known before. Abused and abandoned as a kid, he’d grown up feeling there was nowhere he belonged. For years, only alcohol and moves from town to town seemed to ease the pain. In One Native Life, Wagamese looks back down the road he has travelled in reclaiming his identity and talks about the things he has learned as a human being, a man and an Ojibway in his fifty-two years. 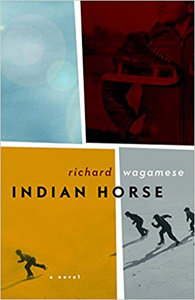 Richard Wagamese stares the modern world in the eye and takes careful note of its snares and perils. He sees people coveting without knowing why, people looking for roots without understanding what might constitute rootedness, people looking for acceptance without offering reciprocal respect, and people longing for love without knowing how to offer it. And underneath all lurks the seductive oblivion of substance abuse. These are the pitfalls of his own life, dangers he hopes his estranged son, Joshua, will be able to navigate with the guidance afforded by this heartfelt memoir. Indigenous resistance is a radical rejection of contemporary colonialism focused on the refusal of the dispossession of both Indigenous bodies and land. Simpson makes clear that its goal can no longer be cultural resurgence as a mechanism for inclusion in a multicultural mosaic. Instead, she calls for unapologetic, place-based Indigenous alternatives to the destructive logic of the settler colonial state, including heteropatriarchy, white supremacy, and capitalist exploitation. In her debut collection of short stories, Islands of Decolonial Love, renowned writer and activist Leanne Simpson vividly explores the lives of contemporary Indigenous Peoples and communities, especially those of her own Nishnaabeg nation. Found on reserves, in cities and small towns, in bars and curling rinks, canoes and community centres, doctors offices and pickup trucks, Simpson’s characters confront the often heartbreaking challenge of pairing the desire to live loving and observant lives with a constant struggle to simply survive the historical and ongoing injustices of racism and colonialism. This Accident of Being Lost is the knife-sharp new collection of stories and songs from award-winning Nishnaabeg storyteller and writer Leanne Betasamosake Simpson. These visionary pieces build upon Simpson’s powerful use of the fragment as a tool for intervention in her critically acclaimed collection Islands of Decolonial Love. In Unsettling the Settler Within, Paulette Regan, a former residential-schools-claims manager, argues that in order to truly participate in the transformative possibilities of reconciliation, non-Aboriginal Canadians must undergo their own process of decolonization. They must relinquish the persistent myth of themselves as peacemakers and acknowledge the destructive legacy of a society that has stubbornly ignored and devalued Indigenous experience. 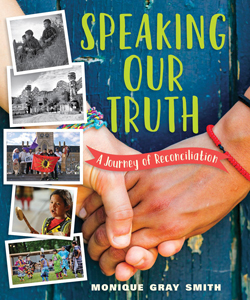 With former students offering their stories as part of the truth and reconciliation processes, Regan advocates for an ethos that learns from the past, making space for an Indigenous historical counter-narrative to avoid perpetuating a colonial relationship between Aboriginal and settler peoples. 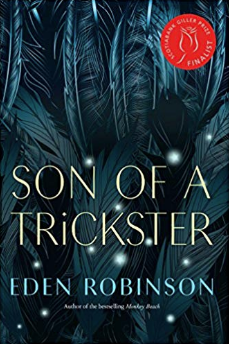 Mink is a witness, a shapeshifter, compelled to follow the story that has ensnared Celia and her village, on the West coast of Vancouver Island in Nuu’Chahlnuth territory. Celia is a seer who (despite being convinced she’s a little “off”) must heal her village with the assistance of her sister, her mother and father, and her nephews. While mink is visiting, a double-headed sea serpent falls off the house front during a fierce storm. The old snake, ostracized from the village decades earlier, has left his terrible influence on Amos, a residential school survivor. The occurrence signals the unfolding of an ordeal that pulls Celia out of her reveries and into the tragedy of her cousin’s granddaughter. Each one of Celia’s family becomes involved in creating a greater solution than merely attending to her cousin’s granddaughter. Celia’s Song relates one Nuu’Chahlnuth family’s harrowing experiences over several generations, after the brutality, interference, and neglect resulting from contact with Europeans. Harkening back to her first book tour at the age of 26 (for the autobiographical novel Bobbi Lee: Indian Rebel), and touching down upon a multitude of experiences she’s had as a Canadian, a First Nations leader, a woman and mother and grandmother over the course of her life, Lee Maracle’s My Conversations with Canadians presents a tour de force exploration into the writer’s own history and a re-imagining of the future of our nation. When Stella, a young Métis mother, looks out her window one evening and spots someone in trouble on the Break—a barren field on an isolated strip of land outside her house—she calls the police to alert them to a possible crime. In a series of shifting narratives, people who are connected, both directly and indirectly, with the victim—police, family, and friends—tell their personal stories leading up to that fateful night. Lou, a social worker, grapples with the departure of her live-in boyfriend. Cheryl, an artist, mourns the premature death of her sister Rain. Paulina, a single mother, struggles to trust her new partner. Phoenix, a homeless teenager, is released from a youth detention centre. Officer Scott, a Métis policeman, feels caught between two worlds as he patrols the city. Through their various perspectives, a larger, more comprehensive story about the lives of the residents in Winnipeg’s North End is exposed. Ask any Canadian what “Métis” means, and they will likely say “mixed race” or “part Indian, part white.” Canadians consider Métis people mixed in ways that other indigenous people—First Nations and Inuit—are not, and the census and the courts have premised their recognition of the Métis on this race-based understanding. Chris Andersen argues that Canada got it wrong. He weaves together personal anecdotes, critical race theory, and discussions of history and law to demonstrate that our understanding of “Métis” (that our very preoccupation with mixedness) is not natural but stems from more than 150 years of sustained labour on the part of the state, scholars, and indigenous organizations. From its roots deep in the colonial past, the idea of “Métis as mixed” pervaded the Canadian consciousness through powerful sites of knowledge production such as the census and courts until it settled in the realm of common sense. In the process, “Métis” has become an ever-widening racial category rather than the identity of an indigenous people with a shared sense of history and culture centred on the fur trade. Andersen asks all Canadians to consider the consequences of adopting a definition of “Métis” that makes it nearly impossible for the Métis nation to make political claims as a people. Children’s Literature (Kindgerarten to Grade 3). When a young girl helps tend to her grandmother’s garden, she begins to notice things about her grandmother that make her curious. Why does her grandmother have long braided hair and wear beautifully coloured clothing? Why does she speak another language and spend so much time with her family? As she asks her grandmother about these things, she is told about life in a residential school a long time ago, where everything was taken away. When We Were Alone is a story about a difficult time in history and, ultimately, a story of empowerment and strength. In this important graphic novel, two Aboriginal brothers surrounded by poverty, drug abuse, and gang violence, try to overcome centuries of historic trauma in very different ways to bring about positive change in their lives. Powerful, courageous, and deeply moving, The Outside Circle is drawn from the author’s twenty years of work and research on healing and reconciliation of gang-affiliated or incarcerated Aboriginal men. Youth Literature. Darcy writes letters from a group home to the victim of his bullying. Through his writing, he comes to understand how he can break his cycle of destructive behaviour and bullying. Winner of 2017 Governor General’s Literary Award (Young People’s Literature). Humanity has nearly destroyed its world through global warming, but now an even greater evil lurks. The indigenous people of North America are being hunted and harvested for their bone marrow, which carries the key to recovering something the rest of the population has lost: the ability to dream. In this dark world, Frenchie and his companions struggle to survive as they make their way up north to the old lands. For now, survival means staying hidden—but what they don’t know is that one of them holds the secret to defeating the marrow thieves.